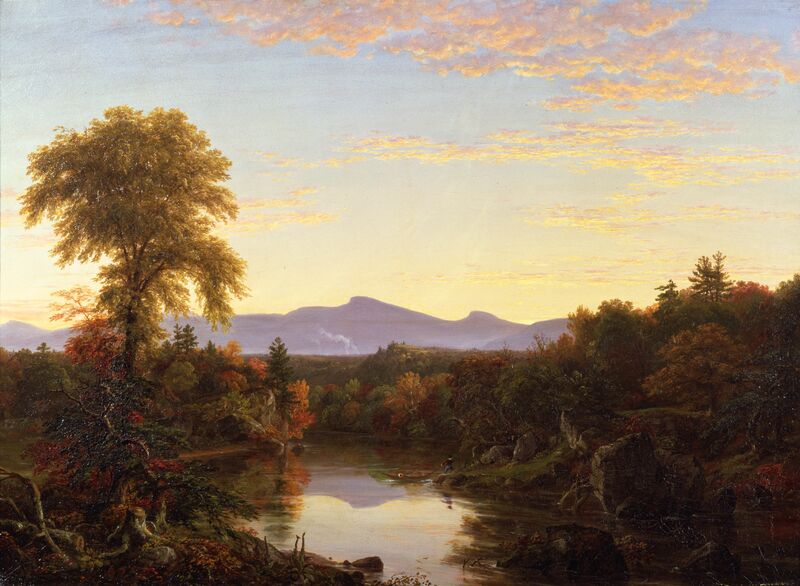 “Catskill Lake, N.Y.” By Thomas Cole, one of the co-founders of the Hudson River School. Here are a few extra images from the show that I comment on in the review, plus a few notes at the bottom. 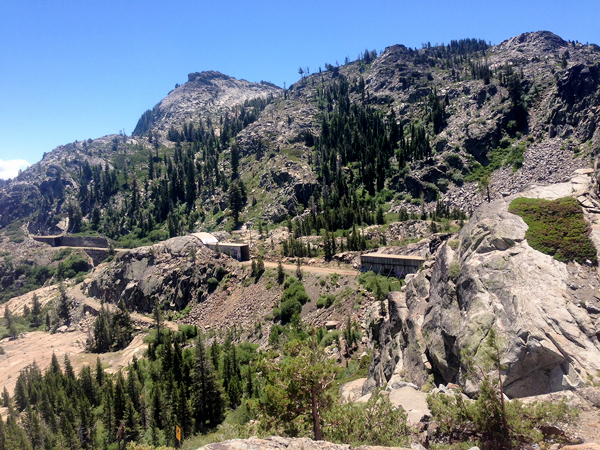 Here’s a photo of the still-imposing Donner Pass today, above Donner Lake, which I drove through in 2014. It is the highest point in the Sierra Nevada mountains. 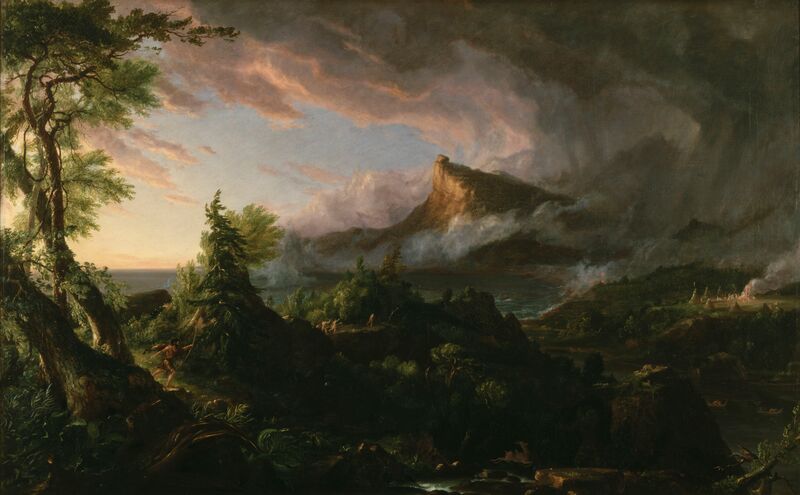 This painting is not from the Milwaukee Art Museum’s “American Vision” exhibit. 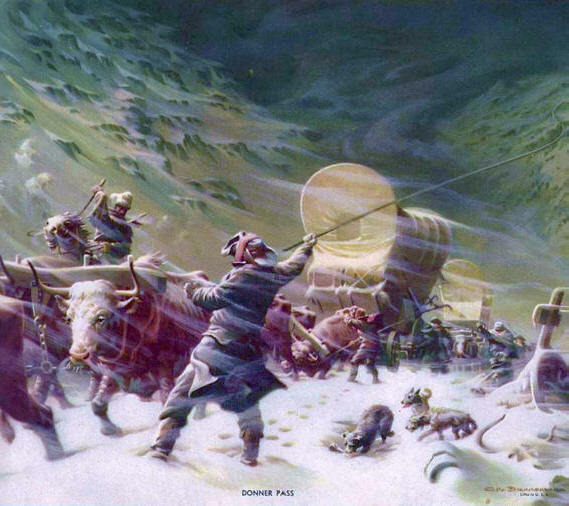 It is an artist’s rendering of 1846 Donner party battling the the blizzard they encountered in the rugged mountain pass that would be named for them. “Niagara Falls” (1818) by Louisa Davis Minot is the earliest Hudson River School painting in the exhibit. Here are a few notes about a somewhat comparable show you may have seen at MAM, Masterpieces of American Art, 1770-1920, work from the Detroit Institute of Arts. 1. 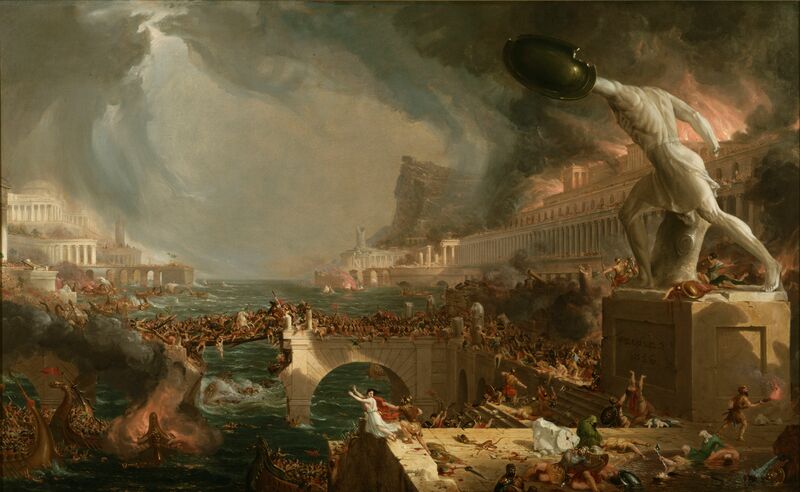 That 2005 show was more diverse and diffuse but slightly less impressive over all than the Hudson River School show, especially with the new show’s celebrated “The Course of Empire” series by Thomas Cole. 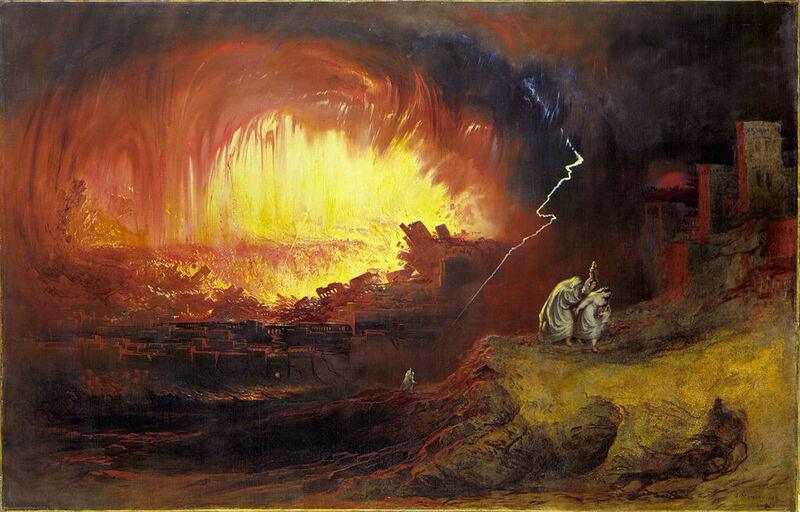 However, Masterpieces included two works that would enhance this show. There’s nothing quite as spectacular in this show as Hudson River School member Frederic Church’s “Cotopaxi” from that show. But then, there are no active volcanoes to render in North America (another brilliant South American mountain painting by Church, “Cayambe” (1858) is in the new show). 2. 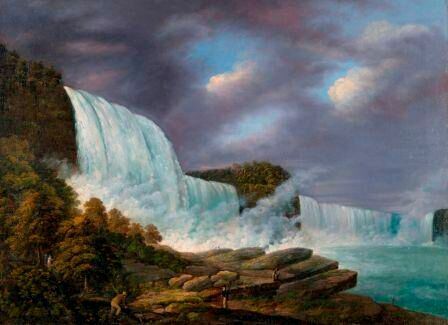 Also, Church’s “Niagara,” in that earlier show, is perhaps the most accomplished and definitive painting of the falls, as impressive as Louisa Davis Minot’s Niagara painting is in the new show. 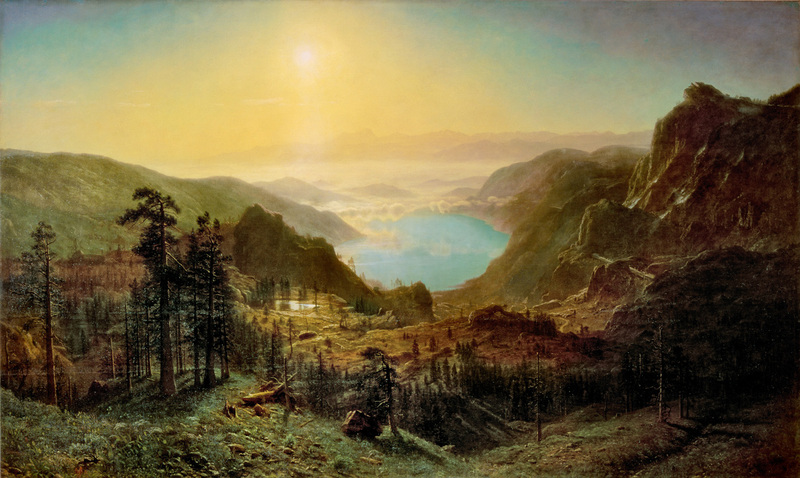 Reproduction of Albert Bierstadt’s “Donner Lake from Summit” is courtesy www.hawthornehotelblog.com All other images courtesy The Milwaukee Art Museum and The New York Historical Society, unless otherwise noted.